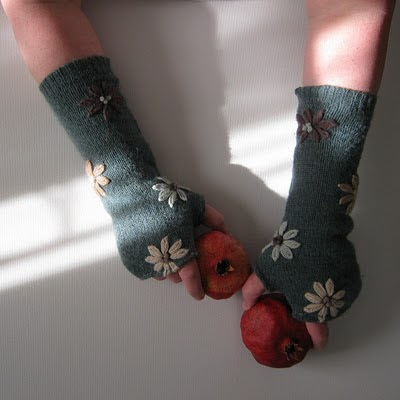 This super sweet pair of fingerless mitts were created from a vintage wool sweater and now have a new useful life ahead. I love the shade of green and the hand stitched flowers really give them a lovely touch. More photos and info is here.